During the presentation of the new MacBook Pro in October of last year, Apple surprised the world with the implementation of a Touch Bar with touch gestures and Apple Pay in the hardware and software of the laptop. The spectacular Touch Bar of the MacBook Pro has not gone unnoticed among users who are enjoying the new and redesigned iPhone X with OLED screen. The terminal does not have a physical start button, and it offers a lot of space at the bottom to implement this technology in the iOS software. They ask for the Touch Bar ... and Apple responds! 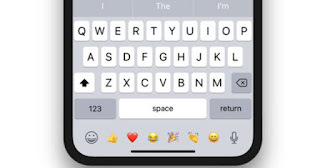 The @alexmuench user of Twitter has requested the incorporation of a Touch Bar in the lower part of the native iOS keyboard on the iPhone X to use the recently used emojis , and his tweet has been very successful. Such has been the impact of Alex Muench's tweet (almost 2,000 RT and almost 10,000 likes) that Apple has responded in the thread to mention that it will rate this type of requests on its Feedback website . A priori, it does not seem a technology especially difficult to implement in the mobile operating system of the iPhone X. So it is not unreasonable to think that Apple could include a Touch Bar in iOS 12 . In the video that we have included you will be able to appreciate all the functions that could be included in a Touch Bar, offering many advantages for the users of the iPhone X. The iPhone X offers new tactile gestures because Apple has removed the physical Home button in its design. 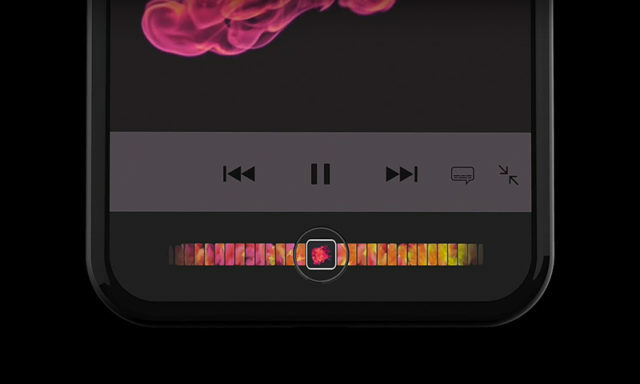 Some of the gestures require the use of the lower part of the screen, such as those dedicated to multitasking and the use of applications. However, on the iOS 11 keyboard there is still enough space to add a Touch Bar. What do you think about it?